#StartupsMX is a series of short posts exposing Mexican entrepreneurs, that otherwise, would not be covered by mainstream media. Are you one of them? I will be glad to hear from you. Enter BIMO, a Puebla-based company founded in year 2000. After performing R&D with help of many public and private institutions of Mexico, like UNAM and CONACYT, it has landed 2 rounds of financing with angel ventures and public financing institutions. This funding also has helped BIMO for obtaining trademark and intellectual property registration before the Mexican IMPI. Currently, it is manufacturing 500 units of “Romy 2015” for replacing taxi-bikes on downtown Mexico City, and securing a maintenance contract. The company is developing business to setting up distribution and after-sales services to other locations of Mexico, along with a distribution business of electromechanic connectors and removable ergonomic board for the EV industry. 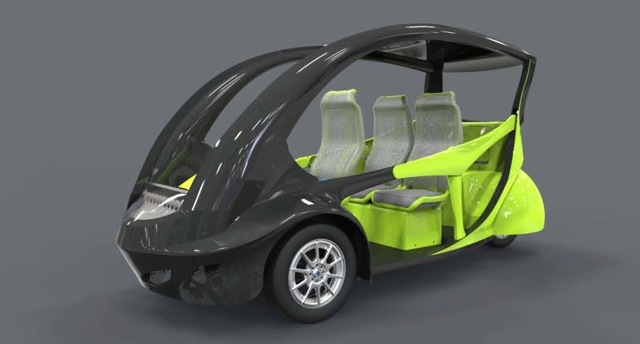 Romy was designed and manufactured under the standards of the US Department of Energy Vehicle Technologies Program. Now, it has an invitation to CISMEF, the biggest Chinese SME trade fair taken place next October in Guangzhou, where expects to land business with the growing local auto industry. Tesla´s Elon Musk is clearly the innovator on EVs, but the market is coming of age. In the near future, traditional cars could loose a market share on niches. Considering Mexico´s capacity in facilities, logistics and legal framework, do you think EV can get retribution anytime soon here? What do you think?